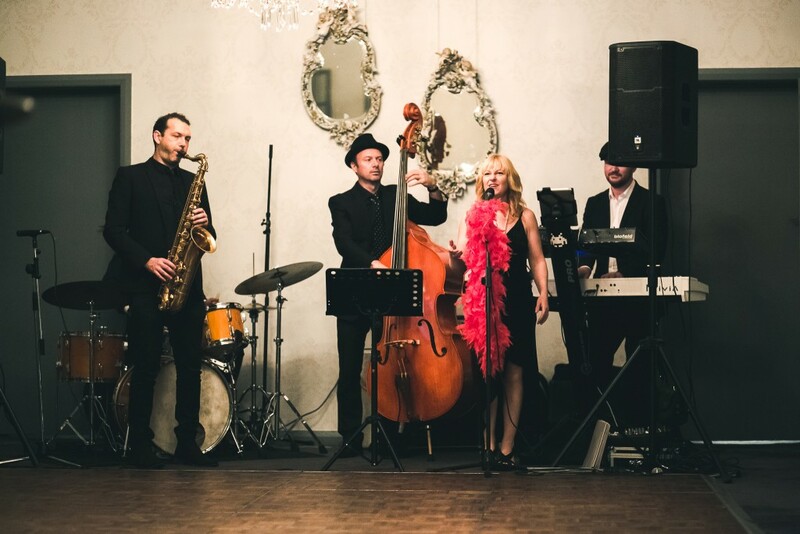 Want to hire a Sydney jazz band for your event? Why go through an agent or a 3rd party when you can book directly through us…. Your favourite songs are played. It’s the right band for your event. “We’ve even showed up at a gig booked via a 3rd party and the client wanted us to sing in Italian! We have a repertoire that spans many decades and is suitable for all ages. Couples will love dancing to songs like ‘It Had To Be You’ early on and everyone will get down to pop classics like ‘We Are Family’ and ‘Happy’ later in the night. We are happy to make their set times flexible and play within your schedule. We provide all of the sound equipment. This means that they can play appropriate recorded music during band breaks. They are also happy for you to use their microphones and system for your speeches. We will arrive on time, be dressed appropriately and conduct themselves in a professional manner at all times. We would love to play a special song as you walk into the room, cut the cake, or for the bridal waltz. If its not on the song list already, let us know in advance and we will learn your song for you. We are happy to travel to the Central coast, the Blue Mountains, Wollongong, Bowral and the Hunter Valley. Expect professionalism at every stage. Kirsten will personally liaise with you (or your MC) prior to the event, ensuring a smooth-running and stress-free experience for you on the date. Kirsten Allison has been fronting one of the most sought-after Sydney wedding bands for almost 10 years. Live music & entertainment can make or break your wedding reception. We will always create the right mood and play the perfect music at the perfect time. Looking for a live wedding band for your Blue Mountains wedding reception or your Central coast wedding? This Sydney wedding band also travels to Wollongong, The Central Coast, The Blue Mountains, The Hunter Valley and Bowral for wedding receptions, festivals and events.